A new law proposed in New Jersey (S824) could have significant impacts on anyone who is convicted of a DUI/DWI (i.e. driving while intoxicated) by increasing the number of individuals who must use an ignition interlock system. A DUI ignition interlock acts like a breathalyzer and won’t allow a car to start if the driver’s blood alcohol content (BAC) measures too high. 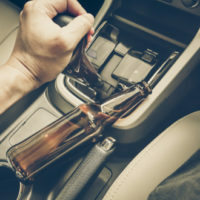 According to some sources, after adopting ignition lock laws, some states have recorded decreases in drunk driving deaths by 40 to 52 percent. With new requirements like these, more people are inevitably affected by the penalties for non-compliance. The penalties in New Jersey for failing to install a device after being required to by the court are an additional loss of your license for one year (beyond any existing suspension or revocation imposed by the court). If you have a device already, and if you are caught trying to get someone to blow into the device so that you can start your car, or tamper with the device, or even rent out or loan a car without a device to someone who has been ordered to drive a vehicle with a device, you can be charged with a misdemeanor disorderly persons offense, punishable by up to six months and a fine of $1,000. However, license suspensions—which currently run from three months to one year for drunk driving—would actually be shortened under the legislation, and instead range from between 30 and 90 days. According to State Sen. Nicholas Scutari, the logic behind this provision is that individuals with DWI convictions and suspended licenses are driving anyway, and thus changing the law from penalizing one’s license to requiring more people overall to drive around with the interlock device would better safeguard the public. However, it is important to note that, for repeat offenders, the length of licenses suspensions would double from two to four years. A similar bill was passed in 2015, but vetoed by then-Gov. Chris Christie because he reportedly disagreed with reducing driver license suspension periods. The penalties for driving while intoxicated in New Jersey are already very serious, and, if this bill passes, will result in even more restrictions on your future driving abilities. If you have been charged with a DWI, contact our New Jersey DWI attorneys right away to find out how we can help.